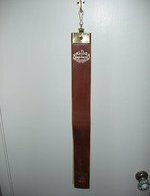 I have had one experience of genuine subspace with a spankee, she was with me for a few years we really got to know and trust one another . She is now happliy married to someone who loves and spanks her and about to have her first child. But for a while I was her spanker . With her it was achieved with a strap and it was a function of repeated smacks low down where her bottom and thighs met , not exceptionally hard smacks but hard enough to get her attention . She said " don't stop" not a normal spankee response in a discipline session ! But it became far more than a discipline session. Like is said above she glazed over and seemed to go deep inside herself . I quickly realised she wasn't actually noticing the smacks it was part a much bigger experience for her - she was basically purring like a very contented cat . She said afterwards it was pure contentment- a bit like ghosts I didn't believe in it until I saw it . I dint think I could ever " recreate the experience " it was a then and now" thing for someone and she just happened to be in the mental state to get there . One word of caution to spankers, if she ( I guess he too) is there then they will not be aware of the strokes there is a danger of smacking too hard it was the rhythm I think that mattered not the stinging, her bottom was already well stung ! What has this lifestyle meant to you? HELP! How does a "control freak" learn to "turn loose"? Is it worth getting spanked for real? Sub Space - Rare Topic...Anyone Been There?